Situated on the Atlantic Coast in Broward County, the City of Pompano Beach has a population of 100,000. One of the nation’s top real estate and vacation home markets, its location just north of Fort Lauderdale offers plenty of nightlife. Pompano Beach DUI Defense Lawyer Richard Ansara represents clients throughout the area, including Lighthouse Point, Deerfield Beach, Hillsboro Beach, Coconut Creek, Margate and Lauderdale-by-the-Sea. More than 4,700 motorists were charged with drunk driving in Broward County in 2010, according to the Florida Department of Highway Safety and Motor Vehicles. Fewer than half were found guilty that year. An experienced Pompano Beach DUI defense attorney can often prevent you from suffering any number of serious consequences, including lengthy driver’s license suspensions, fines, jail time and mandatory treatment. And the tiered nature of Florida’s drunk driving laws make fighting a first offense the best option. A second offense may carry up to a year in jail, along with lengthy probation requirements and a 5-year suspension of your driver’s license. A first-offense DUI in Pompano Beach can often be reduced. Don’t do yourself a disservice by pleading guilty when you can get a free consultation with an experienced attorney. Defending drug charges in Pompano Beach is best left to an experienced attorney. While many states are reducing the penalties for marijuana, Florida legislatures have passed the Marijuana Growhouse Eradication Act, which provides very serious penalties for growing more than 25 plants. The old limit had been 300. The law makes violation a first-degree felony. Landlords and property owners can also face serious consequences: The law now considers it a third-degree felony to own a house for the purpose of cultivating, packaging or distributing marijuana. While South Florida has always been an active narcotics trafficking area, cases of marijuana grow houses, meth labs and pill mills continue to change the defense landscape. Prescription-drug offenses, such as forgery or allegations of doctor shopping, can impact professionals as well as middle-class families with little or no experience in the criminal justice system. 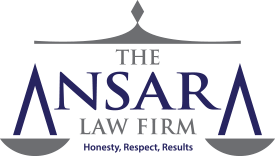 At The Ansara Law Firm we believe everyone facing criminal charges deserves access to quality legal representation. You can rest assured your case will receive the care and attention it deserves. And you will know that everything possible is being done to resolve your criminal case in a positive manner.